Members, both new and existing can be added to workspaces by workspace or company administrators. 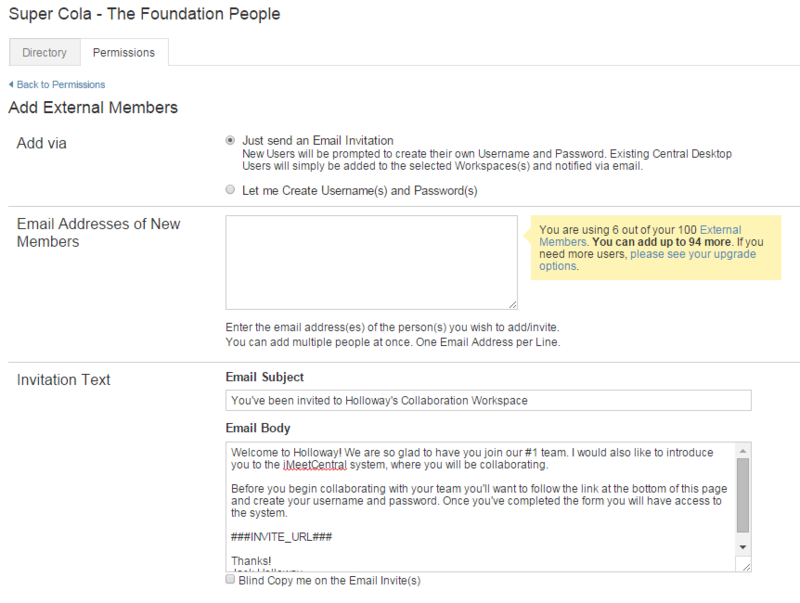 To add internal or external members, click on the People tab in a workspace and then select the Add Members button. 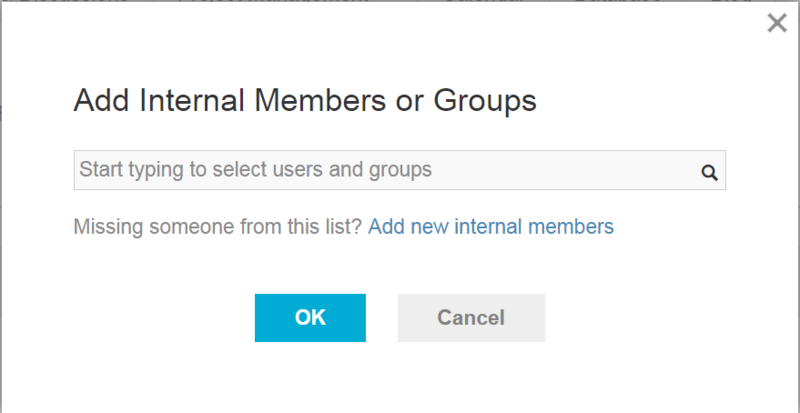 When adding Internal Members you can select members or member groups from your company roster. Type in the member names or group names and then select OK to add members. If you do not see the desired member in the list, they either already belong to the workspace or they have not been added to the company Internal Member List. If this is the case, you can add the user to the Internal Member's List. Administrators have the option to Just send an Email Invitation to the member(s) being invited which will allow them to create a username and password. An e-mail will be sent to the invited email address with a link to set up an account. This is the only option that can be used when inviting members who already have iMeet® Central accounts. The second option available is Let me Create Username(s) and Password(s). This option allows the administrator to create the new member's username and password on their behalf. When this option is selected, the administrator will be prompted to enter the login information on the next page. It is optional to send the new member an email detailing their login credentials. Enter the email addresses of the people you want to invite into the text box. Enter only one email address per line. This step is optional and allows for the customization of both the subject line and body of the email that is sent to the newly invited members. The default invitation email text can be modified in the Company Settings.